Priests and Customers from around the world have plenty to say about OrthodoxRings.com! "The photos of the ring online do not do it justice - it is gorgeous! Customer service was also top notch! Thank you so much! "We finally have a source for Orthodox Christian wedding rings produced and made available right here in North America, designed and offered to us by a pious Orthodox layman. The various styles made available in these rings reflect influences from all our jurisdictions, there is something for everyone here, and a blessing for Orthodox couples seeking to share their faith by wearing these rings." "OrthodoxRings, just want to tell you I just received my ring and it is beautiful! I love the design, the engraving is well done. I'm very happy. Thank you!" "OrthodoxRings.com is a unique Orthodox company introducing something new to the Orthodox market. I had never before seen Orthodox wedding bands, or even fine jewelry Orthodox rings. This is a product that I certainly hope will find a home within the culture of the present day Orthodox Church. Having held samples of this work in my hands, I can attest to its high quality, expert craftsmanship, and beauty. I highly recommend it!" ​"My husband is Orthodox and helped me become Orthodox myself, and our children were all baptized in the Orthodox church. When looking for rings to symbolize our marriage, my husband showed me some rings online that he liked. I eventually ordered him the embossed cross in silver platinum, with the added inscription "SAVE & PROTECT." He has worn this ring for years now, it's a little less shiny than it used to be and had to be resized once but overall we have been very happy with it. My experience with OrthodoxRings.com has been positive; last year I inquired about resizing and was promptly answered. In addition, when our ring was first made there was a mistake with the inscription that was very minor. A lifetime offer to re-engrave was made, which is very generous. Overall a great transaction!" "OrthodoxRings.com is a company run by good Orthodox Christian people. 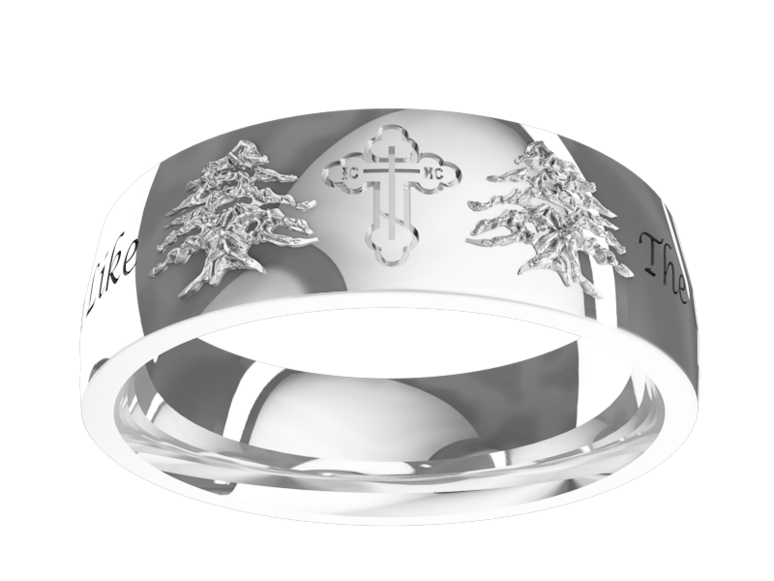 They make beautiful rings and wedding bands, decorated with Orthodox Christian designs. Their rings are of a high quality and the designs are authentically Orthodox. I have held several different styles in my hands and would recommend them to my parishioners and Orthodox Christians everywhere." "I found OrthodoxRings online after being told about you from a lady in my church. The selection is great. I was specifically looking for a simple band with a Russian three bar cross on it. My ring is perfect. It fits well and the band width is just right. Members of the Orthodox community think it is beautiful. I would recommend to anyone looking for Orthodox jewelry. I had a very tight time frame to have my ring in time for the wedding and you made it happen. Fantastic service." "I am privileged to know the owner of OrthodoxRings.com. He is an honest man, who cares deeply about Orthodoxy, its laity, and their experience in the Church. 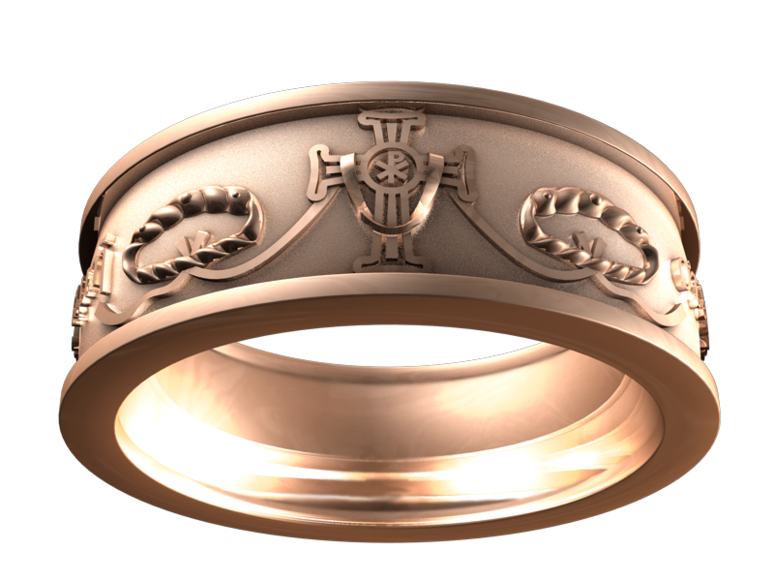 I have also seen a number of the fine rings produced by OrthodoxRings.com and can say that I see all of this reflected in their intricate and meaningful design. I am sure that couples getting married in the Church, as well as those that would just like an exquisite symbol of their Faith on their finger, will too. 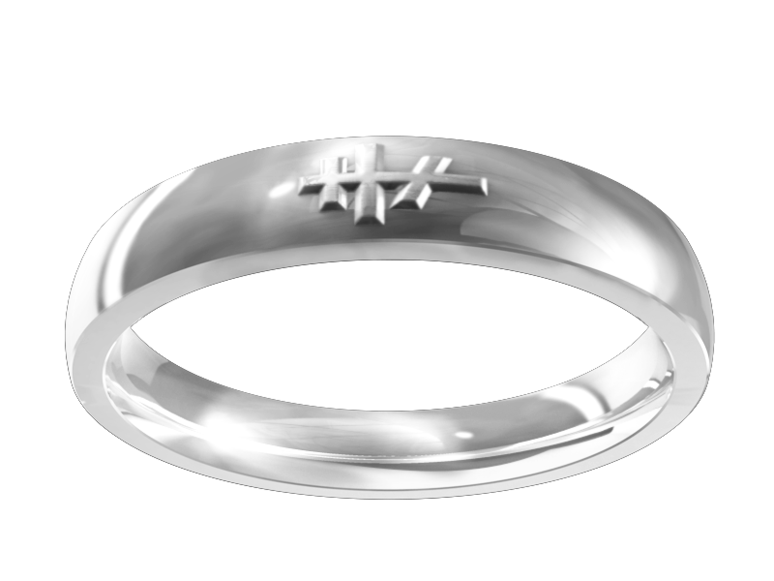 Rings from OrthodoxRings.com are every bit as stylish as those seen at larger jewelry stores, but with authentic Orthodox designs on them that will consistently draw the wearer's mind back to the life of The Church. I would recommend these rings to my parishioners and anyone considering them." "I love my ring! Thank you for being so prompt. I have had so many complements, "a very handsome ring", and truely it is." "It was time for our anniversary when I thought a new ring would be a fitting replacement for a lost one. Matt's company had just gotten off the starting blocks so I thought an Orthodox ring the best way to go. The fit is perfect; I like the handiwork; and it makes a good statement about how everything in our life matters, even the rings we wear since the ring makes a statement about what we believe is true and of ultimate importance in our life." "I was searching online for a place to buy rings that would be suitable for an Orthodox wedding and I came across OrthodoxRings.com and was very impressed with their selection available. Compared to other sites I have visited these rings were more suitable to be used in the Wedding Ceremony. I would not hesitate to inform friends or church goers from visiting your site as the site is beautifully designed and the customer service is amazing. Plus the choices available and the ease of purchase makes the whole experience easier in the lead up to the important event. When needed the customer services team is amazing and it helped make the purchase such a smooth process and the overall experience like I would experience if I had been in a shop itself. My wife is happy with the ring as it is not common in the UK to see a wedding ring in the Orthodox design and people have found that it is very beautiful. God grant you many years and bless the growth of the company." "I have known Matt Swagerty since his birth over 40 years ago. Matt is a dedicated and zealous parishioner who is committed to the Orthodox Faith above all else. He is an honest and trustworthy man that I would recommend to anyone who asks. Matt and his family continually strive to seek the will of God in their lives and are steadfast in their desire to serve the Lord in all of their endeavors." "I would like to recommend to all, Matt Swagerty and his business for your consideration. I have known Matt for over 16 years, in fact, Matt had much to do with my conversion to Orthodoxy and as a pious layman gave me much encouragement in my journey towards Orthodoxy. I've known Matt and Amy to be people of integrity, pious in faith and lovers of the Holy Orthodox Church." "I have known Matt Swagerty for over twenty years. He and his family were active members in our parish for over six years, prior to his move to California. Matt is an honest, intelligent, hard working man who maintains a focus on faith and family. 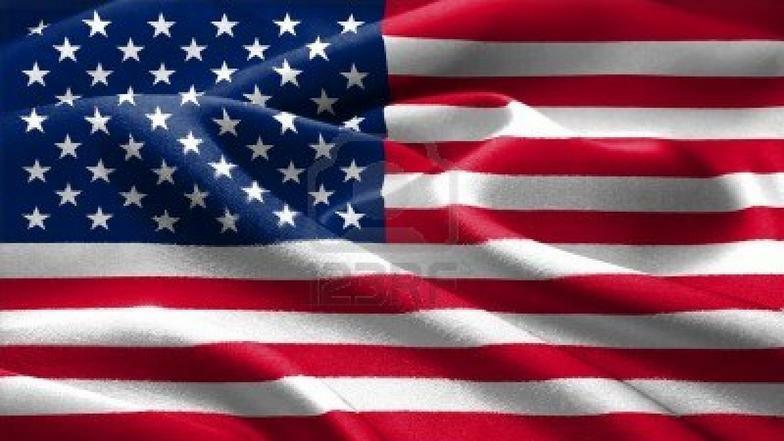 I hold him in highest esteem and would recommend him to anyone seeking to do business with him." "In the twenty-plus years that I have known Matt Swagerty, I have known him to be a pious and sincere Orthodox Christian who has made many sacrifices for the sake of his Faith. Matt is a trustworthy and honest man, and I have nothing but enthusiastic praise for the quality and integrity of his products. I encourage all of my parishioners to take a look at Orthodoxrings.com, for a truly unique way of blessing their marriages." "I had the opportunity to see and handle these Orthodox Wedding rings, and I was very impressed. The man who produces/sells them is a very dedicated Orthodox Christian, and - because of health issues - this is now the only way he is able to support his young family. Please visit his website. Perhaps you could inform your parishioners about his website."